It's time to 'Try a Tri' --So get moving! Introducing Palmetto TRIbe - New Youth Triathlon Program! Palmetto TRIbe, LLC is a USAT certified youth triathlon coaching program for kids 7-15 years old, residing in the greater Mt Pleasant/Charleston area. Our 6-week youth programs are lead by o ur USAT/USMS certified coaches, and will focus on skill development and speed across swim, bike, and run sport segments. All swim workouts will be held at The I'On Club, our premier sponsor. In addition, Palmetto TRIbe athletes will have the opportunity to compete as a team in local youth triathlon races throughout the season. 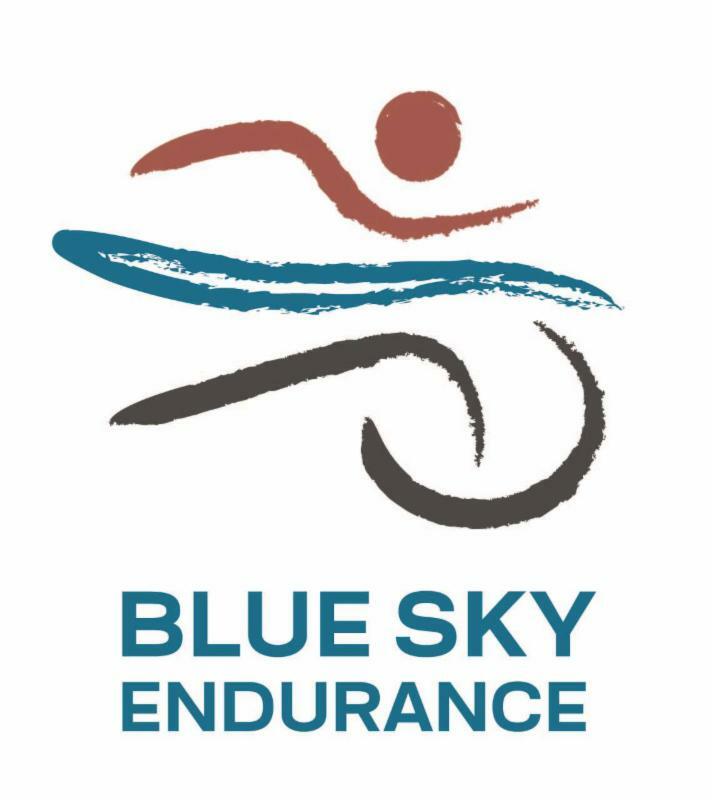 Join us Feb 25, 10am, at Blue Sky Endurance to learn more about our program and meet our coaches. Kids welcome and encouraged! Tri Here, Tri There, Triathlons Are Everywhere! It's time to Try a Tri! Triathlons are everywhere now. It's time for you to jump on that bandwagon and figure out what all the fuss is about. Triathlon is the new cool club that everyone can join. What is a triathlon?? SWIM, BIKE, RUN. It's as easy as that. The swim is always the shortest part of the race- which fits nicely with most people’s fear of triathlon. Triathlon distances generally range from sprint, olympic, 1/2 distance (half ironman) and full distance (full ironman). Sprint distance: is typically 500yd swim, 12.5m bike, & 3.1m run. Olympic distance: 1.5k swim, 40k bike, 10k run. Ironman is a brand name but people often refer to 1/2 ironman and ironman whether or not it's that branded event. Those distances are: '70.3': 1.2m swim, 56m bike, 13.1m run and '140.6': 2.4m swim, 112m bike, 26.2m run. So many distances to choose from! How do you train? It’s not as hard as you think. A beginner training plan for a sprint distance race calls for doing each sport (swim, bike, run) 1-2 times per week. If swimming is your weakness, try to swim for about 20-30 minutes 2 times a week. Yes, that’s all you need! If biking is your weakness, bike 2 days a week for 30-40 minutes. You can bike outside or inside in a spin class. And of course if running is your weakness, run 2 days a week, about 20-30 minutes each time. A weekly plan includes your weakest sport at least 2 days/week and then your other sports 1-2 days a week. Weekend training typically involves your ‘long’ bike session followed by a short run, about 5-10 minutes. This is called a ‘transition run’ or ‘brick’ session, to help your legs adapt to running off the bike. Your legs will feel like jello after you get off the bike, but you can train your body to adapt to that and lessen the jello sensation. What to do now? SIGN UP FOR A RACE! There are so many options in the local scene- Charleston Sprint Triathlon Series, TryCharleston, Parris Island Triathlon, & Kiawah Island Triathlon) as well as in NC and GA (around the country and the world too!). Hire a coach or sign up for a triathlon training group. We currently have a group training for Parris Island Sprint Triathlon and will have another group starting up in April for She Tris Super-sprint Triathlon (super sprint = awesomely shorter than a regular sprint). Also, we'll have a training program for the last race of the Charleston Sprint Series. If you can't swing a coach or training group, luckily we have this thing called the 'internet' that has boatloads of information about training and racing. The sport of triathlon comes with A LOT of gear! How do you carry it all?? We have the answer: a transition bag. The transitions bag is specially designed to carry all of your stuff....and you will have a lot of it. 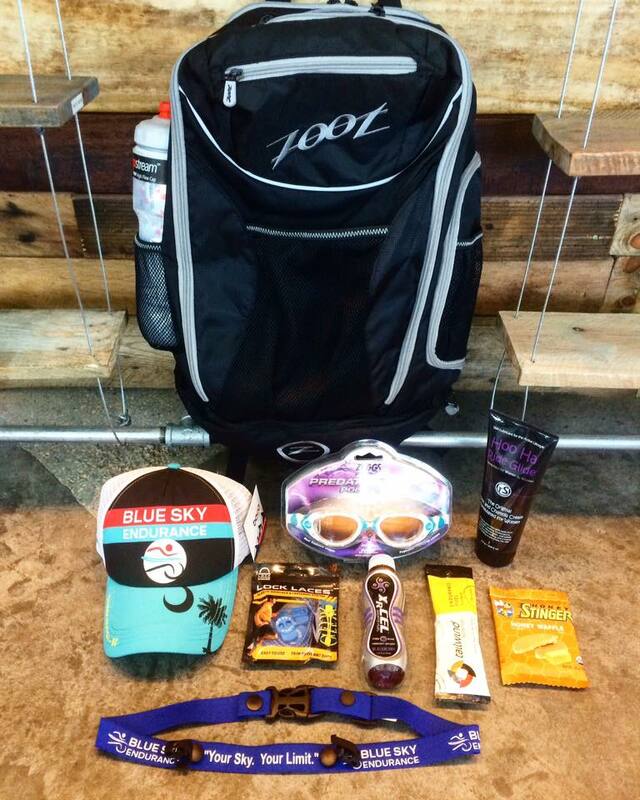 Goggles, swim cap, helmet, bike shoes, towel, hat, sunglasses, race belt, race food, etc. etc. These transition bags are specially designed to help organize and transport your stuff. You don't want to show up at a race and frantically search for your goggles before the swim! Zoot bags are easy to carry and come with well designed pockets to help you keep you stuff where it should be! As Zoot says: "Your perfect workout bag is here. The Performance Transition Bag 2.0 is the ideal bag for triathletes and runners in need of a functional bag. The main compartment unfolds with dual zippers for easy access and the ability to organize your gear. With an eternal mesh helmet storage pocket, take this bag along to your workout or your next race." It's time for you to step up your game and get organized!